The popularity of podcasts has boomed so much that Vancouver is hosting it’s very first festival dedicated to the new form of on-demand media. The popularity of podcasts has boomed so much that Vancouver is hosting its very first festival dedicated to the new form of on-demand media. Lindsay Michael, co-host and producer of CBC Radio's Podcast Playlist said podcasts cater to how people listen to content today. "People love listening when they're in transit, when they're on the subway underground and you can't get radio. With podcasting, it's on demand, so, kind of like Netflix, you can listen to what you want when you want to, and that really suits people's' needs," she told B.C. Today host Michelle Eliot. Podcasts allow people to dive deep into personal interests from knitting to small business tips and lets listeners discover topics that may never have crossed their mind, Michael said. These niche-interest podcasts are part of the reason why Selina Crammond, the director of programming for the DOXA Festival and now the Vancouver Podcast Festival, wanted to create the festival. "We were really trying to make spaces for local creators to meet each other and share skills and learn more about what's going on here in town," she said. Just as podcasts are easy to access for listening, Michael said they're easy to create as well. 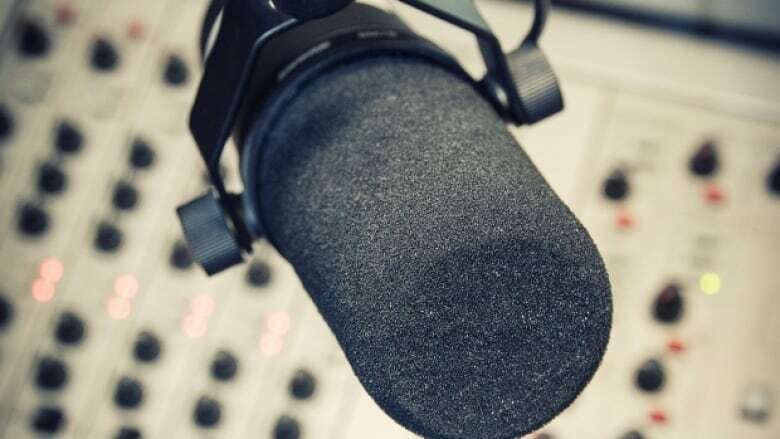 "The barrier for entry for creating a podcast is so much lower than say radio … even pirate radio stations aren't as easy as recording podcasts, which you can literally do on your phone and upload it," she said. All you need is a topic. Crammond said they chose the theme True Crime, True Justice when planning the festival because there's so much content being produced under this genre. She said there's an innate pleasure many find in following a case and solving a mystery, so the programming committee for the festival decided to take a critical look at the genre by including lawyers and investigators on the panels happening over the next three days. There will be live show recordings, panel discussions, classes at the central branch of the Vancouver Public Library downtown, as well as special performances held at the Rio theatre and The Post at 750 from Nov 8 to 10.